Have you tried making in-camera double exposures? It’s worth the effort. 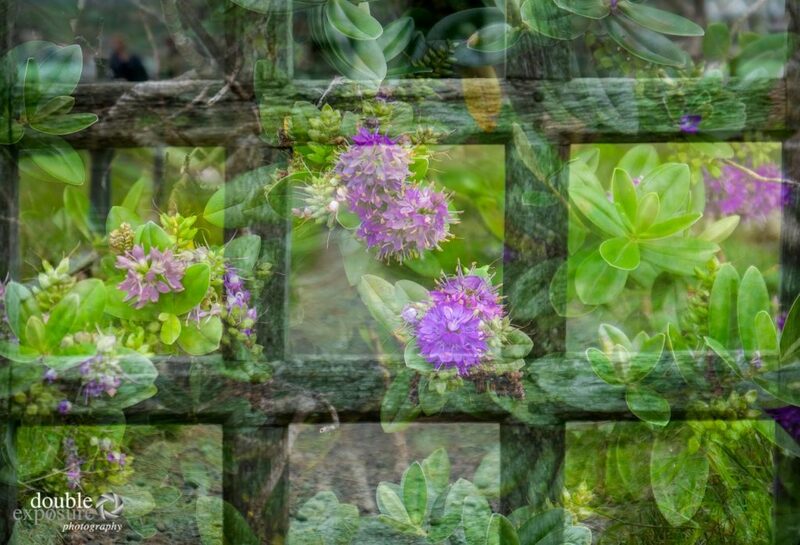 A garden’s gate is combined with the flowers inside to create a new image. I get to visit groups of photographers often and when I ask them if they’ve ever tried making a double exposure in their cameras, most have not. Many don’t even know if their camera has this feature. A double exposure simply refers to two images combined in one frame on your camera. The bonus is that you’ll often get a joyful surprise because the result may not be quite what you expected. First, take a look through your camera’s shooting menu (or manual) and look for multiple exposures. Set it to two. If you have the choice of turning on Auto Gain, do it. This automatically adjusts the exposure of each image so that the final result is correctly exposed. Then, plan which two images to combine. This can be the hardest part. Here are three different ways to think about how to choose. In the image above, I was impressed with a beautifully made garden gate. I photographed the gate first and then some of the flowers inside. Thinking of two related subjects simplifies the job of choosing what to combine. Here’s another example of two related subjects combined into one image. While visiting a seaside community on the Isle of Skye, I used the gull watching the scene from a roof top and the reflection of the village in the water. 2. Add a texture layer. Another way I like to make a double exposure is by adding a texture layer. 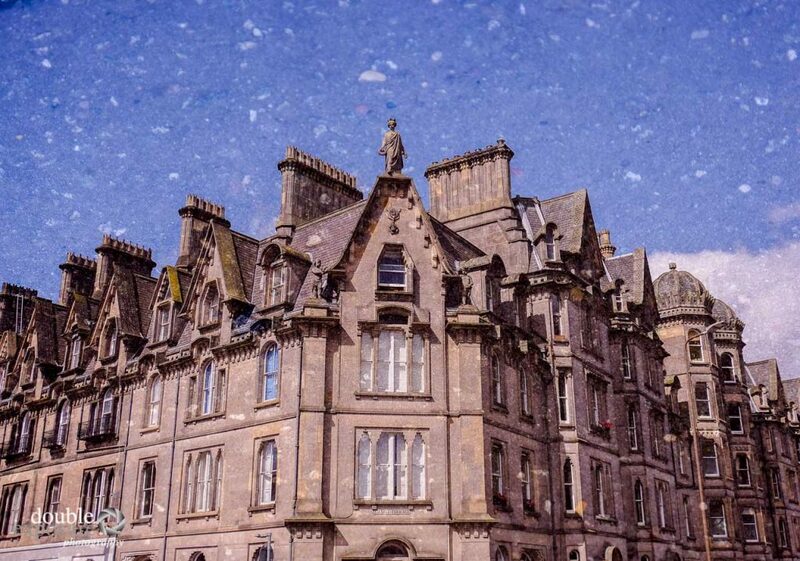 Exploring the wonderful city of Edinburgh, I was drawn to the building with all its intricate features. But, with a plain blue sky, I felt it needed something more. So, the texture layer was simply the sidewalk at my feet. Suddenly, the addition of the texture changes the image completely. 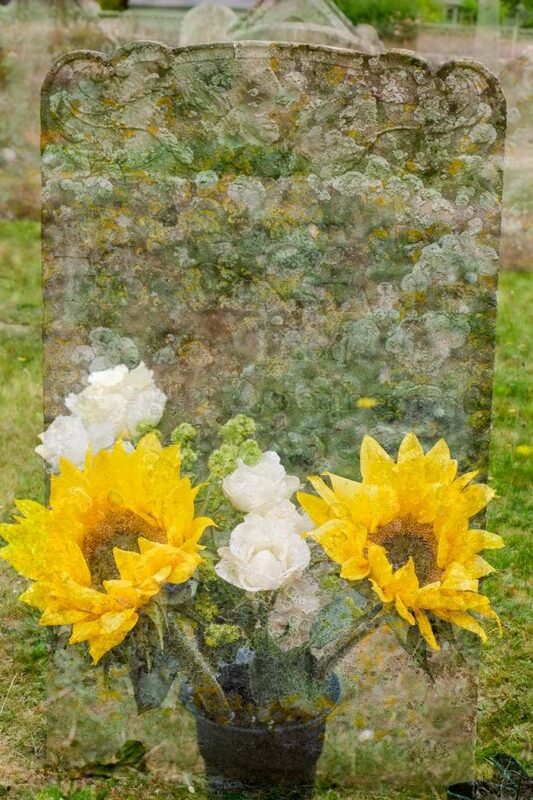 In the image below, the headstone and flowers in an old cemetery received a layer of texture from a weathered stone nearby. 3. Add an out of focus layer. Here’s one more idea. Add a second layer that is out of focus. 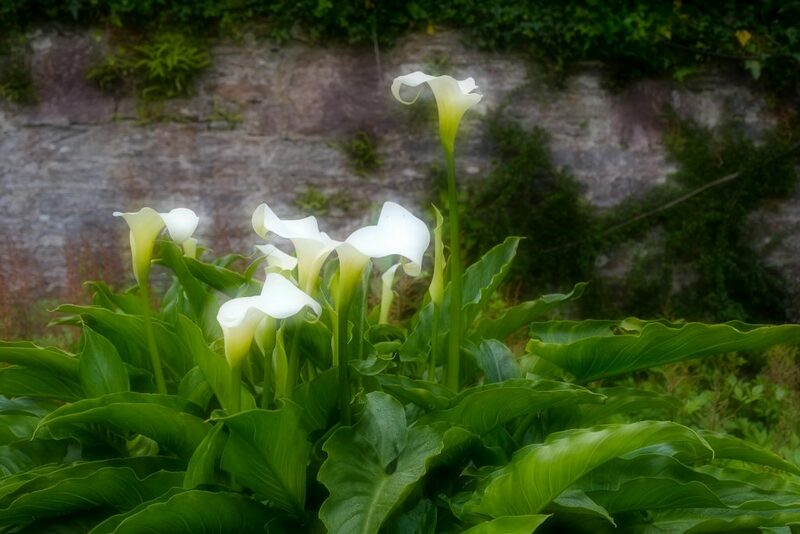 These beautiful Calla lilies were growing near a stone wall in Ireland. My first image was sharp and the second one, with the aperture wide open and the camera in the same position, was out of focus, creating the soft glow around the subject. This is based on the work of Michael Orton and his well known Orton Effect. This works best in soft light and can be used with many subjects. This image was made at the Tallheo Guest Cannery. The first step was to create an ICM. The subject here is a pile of old fishnets, which have different colours for different seasons. 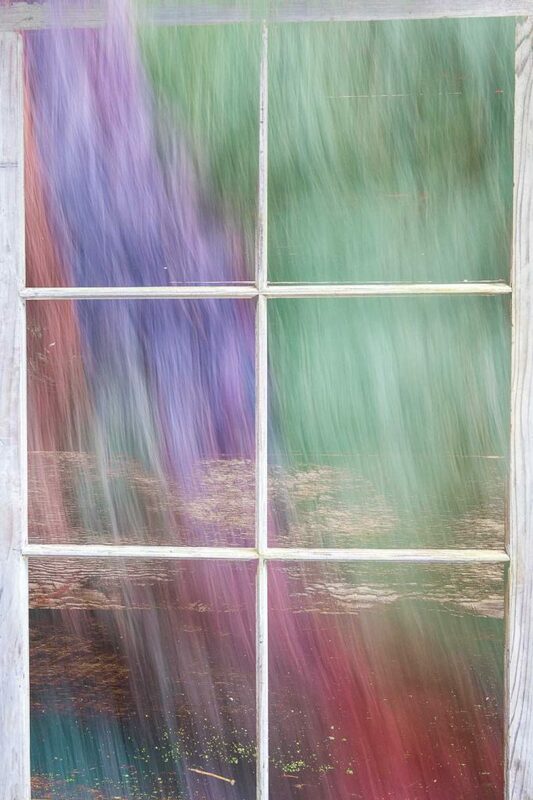 The second layer is simply a nearby window frame. Creating double exposures is one of the many valuable tools you can use to express yourself more effectively through photography. And of course, doing that is what our workshops are all about. Have a look at the Gallery page and see how many examples of double exposures you can find.